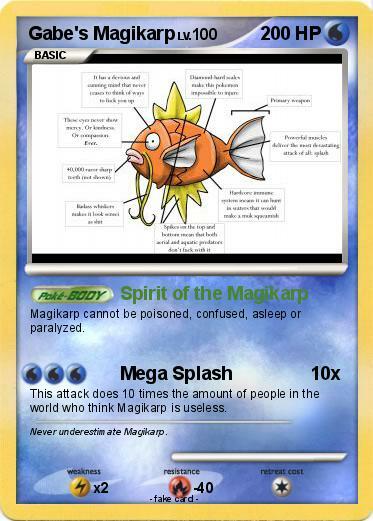 Magikarp cannot be poisoned, confused, asleep or paralyzed. This attack does 10 times the amount of people in the world who think Magikarp is useless. Comments : Never underestimate Magikarp.